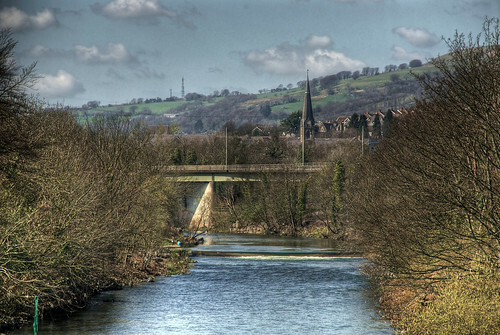 Posted by Stuart Herbert on June 8th, 2010 in Desktop Wallpaper, River Taff, Treforest. 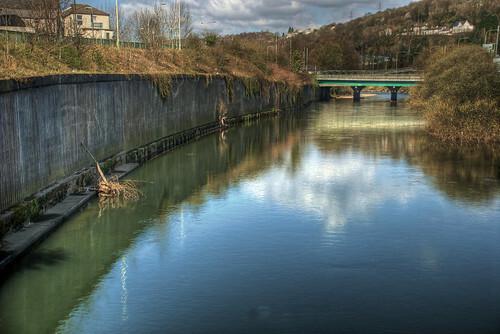 Posted by Stuart Herbert on March 12th, 2010 in Modern, Photos, River Taff, Shoot, Treforest. 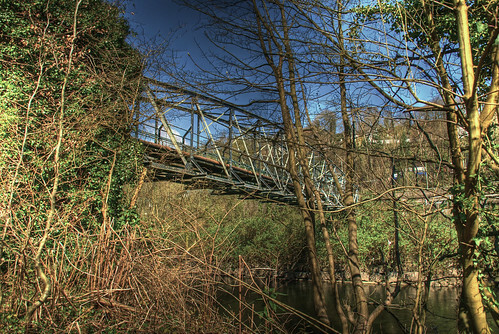 Of all the bridges over the River Taff in the Pontypridd district, this one remains my favourite to photograph. 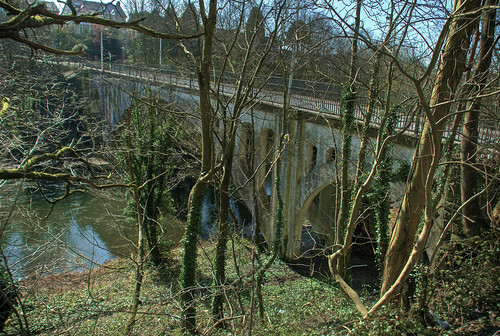 I don’t actually know anything about this bridge, other than it once carried road traffic but today it’s a footbridge. 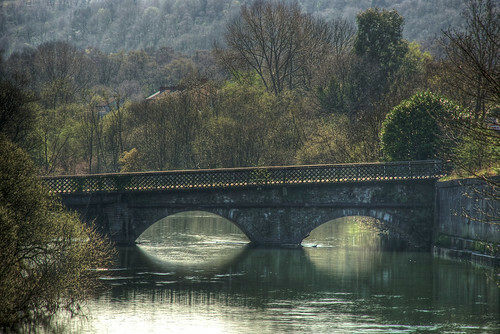 If you enjoyed this shot, you might also enjoy Bridging The Rivers At Pontypridd. 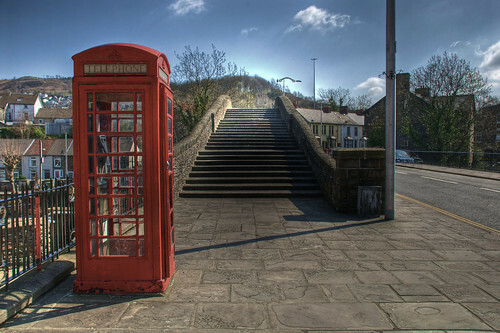 Posted by Stuart Herbert on March 9th, 2010 in Education, Modern, Photos, Shoot, Treforest. 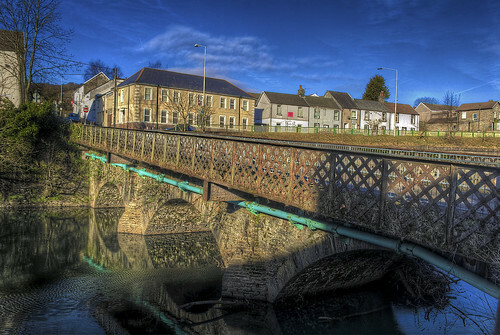 The morning is, without doubt, the best time of day to try and snap the houses of Trefforest. 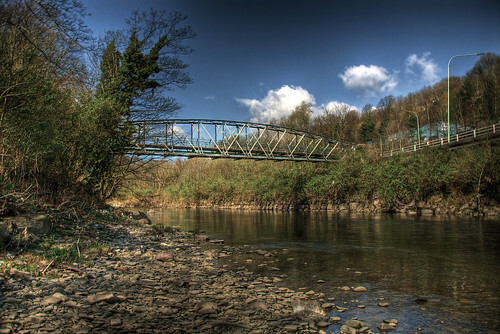 Snuggling on the western bank of the River Taff, the former market town of Trefforest is today dominated by the University of Glamorgan. Most of the housing is now let to students, making the place a bit of a ghost town out of term time. 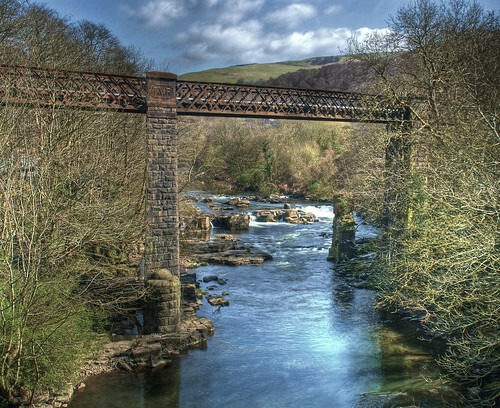 Taken from the same spot as Watching Over The A470. 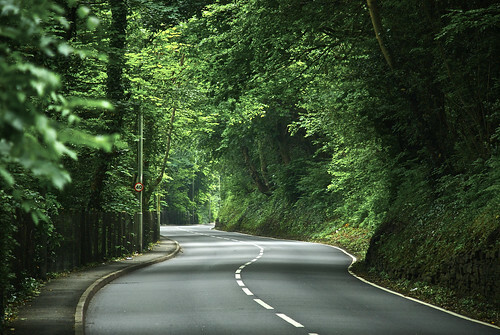 Posted by Stuart Herbert on June 2nd, 2008 in A473, Merthyr Road, Modern, Shoot, Treforest. With the car in the garage for its M.OT., the quickest way on foot for me get to and from the garage is down Merthyr Road, through Treforest, and then up the A473 to Power Station Hill. It’s a fair walk, but it’s worth it for those times of the year when the leaves are green and this stretch of the A473 is empty. 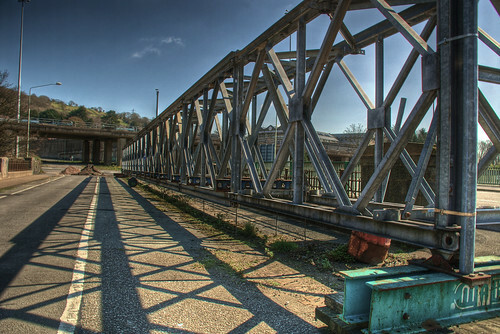 Posted by Stuart Herbert on February 25th, 2007 in Cardiff Railway, Historical, Merthyr Road, Shoot, Tin Works, Treforest. View this selection of photos in my Merthyr Road set on Flickr. 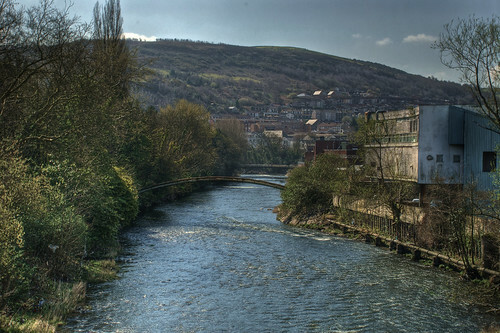 The old tin works at Treforest were once the largest in the whole of Britain. Today they have long since closed, and the buildings have fallen into disrepair. Much of the site has been levelled, but what remains provides the faintest of hints of the South Wales Valleys at the height of their industrial glory. 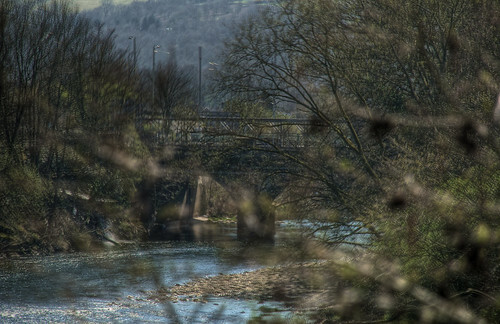 From the A470, I’ve often caught a glimpse through the trees to the west of the remains of old factories nestling in the shadow of an old railway embankment. 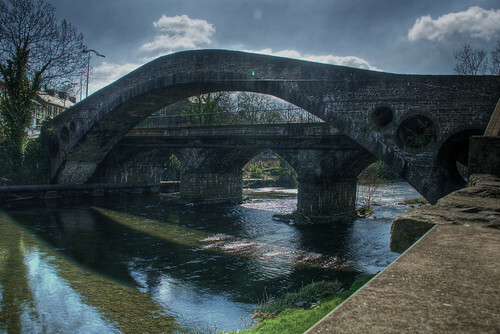 Armed with a couple of bottles of Lucozade and a few bars of my favourite chocolate, I walked down through Pontypridd and Treforest, determined to finally find out just what this place is. Walking across the cleared ground, and through the ruins that remain, it’s very difficult to imagine that this was once part of the most important industrial complex in Britain – and therefore the world, thanks to the British Empire. The chains for the Titanic were made just to the north. Coal for the Royal Navy came from further north, passing by using the canal and later the crazy rail network that once criss-crossed the valley. Iron came down from Merthyr. 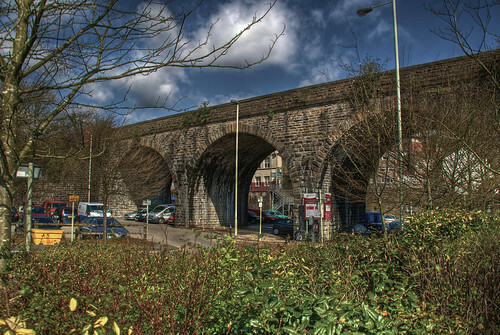 Just to the south lay the second-largest tin works in Britain – it’s claim as the biggest stolen by the works here in Treforest. 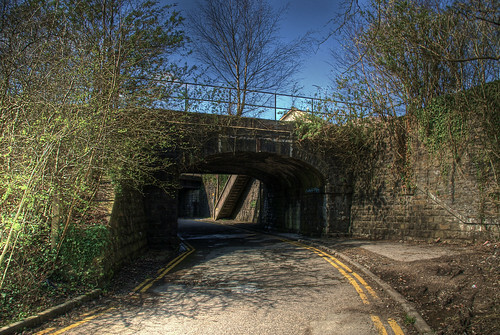 Now it’s just a handful of ruined sheds surrounded by a security fence that the locals pay no attention to, all buttressed up against the remains of a railway embankment that (it appears) used to end in a viaduct across the valley. There are no signs to mark its passing, save one – a modern sign proclaiming that the local allotments are called the Tin Works Allotments. Indeed, it’s left to the two bricked-up tunnels to the east of the ruins – and an open tunnel that lies immediately to the west that begs a return visit – to provide the only hint that this was once such an important site. I’m going to save the photos of the site itself for another posting on another day. I took over a hundred and fifty pictures of the site, and I need time to sort through them and process the ones worth publishing. It feels like I’m cheating. By breaking up this shoot into several postings, I get to have more than just one favourite photo – even though it was all the same shoot 🙂 There were several pieces of great graffiti that I captured during the shoot, but my favourite photo has to be this one. I think it does the best job of getting that balance right between subject and context. What’s your favourite photo from the shoot? Let me know in the comments below. You can’t beat local knowledge. Families walking their dogs tend to know all the best routes, and where it’s safe to walk (both from a danger point of view, and from a avoiding-trouble-from-landowners point of view). Speaking of danger … you can’t walk around these places with your eye glued to the viewfinder. Apart from the very real risk of tripping over something and cutting yourself on sharp things on the ground, you’re in danger of falling down uncovered shafts at any time. 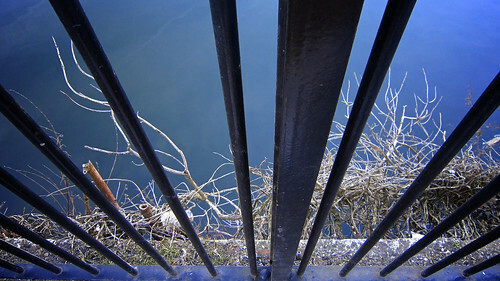 Most photo composition comes down to showing a subject in a context. In this selection of shots, the subject was meant to be the graffiti, and the context was meant to be the ruins that the graffiti has been painted onto. I didn’t maintain the discipline required, and quite a few of my shots [example] ended up the wrong way around. Part-way through processing the images from this shoot, my workflow with Aperture began to take shape. Rather than post the full details here, I’ll put together some example images of the workflow in action and publish them as a separate blog entry in the near future. (I’d like to start posting technique-focused entries mid-week to balance the weekend shoots – this’ll make a good first or second article). I haven’t managed to find any other photos on Flickr of the Treforest Tin Works at all. That’s a real shame, especially when you realise that the University of Glamorgan can be found literally just down the road.